What happened when Antiquity came to an end? What marks the beginning of the Middle Ages? It will be hard to enumerate all aspects, but at least it’s certain that the imperial institutions disappeared from western Europe: no Roman state, no Roman taxes, no Roman armies. In the East, the transition was less abrupt. The Byzantine Empire continued to demand taxes, continued to build armies, continued to exist. Yet, it had to give up territories: the Arabs conquered Syria, Palestine, and Egypt. There was also a mental change: for the ancients, ‘us’ and ‘them’ had been identical to ‘Graeco-Roman civilization’ and ‘barbarians’, but after the transition, the basic opposition was ‘Christianity’ versus ‘Islam’. This makes Muhammad one of the most influential people of Late Antiquity, or the Early Middle Ages. Without him, no Islam and no loss of eastern provinces for the Byzantine Empire. The prophet, his message, and his followers are extremely important subjects to any student of Antiquity, but they are very hard to understand. Our main sources are the Quran, which is not a work of historiography, and the traditions (hadith), which were written down many years after Islam had come into being. Even worse, many traditions have been regarded with suspicion from the outset. Using what he believed to be reliable traditions, Ibn Ishaq wrote the extremely influential Life of the Prophet in the 750s, more than a century after the death of Muhammad. Until quite recently, modern western scholars have accepted the events mentioned by Ibn Ishaq as essentially historical. Although the miracle stories were ignored, the other anecdotes were considered to be reliable. The result was a more or less rationalized legend; an example is the book by Maxime Rodinson, Muhammad (1960). This approach was not unlike the way Thomas Jefferson dealt with the gospels. Rodinson’s view has become more or less canonical – Karen Armstrong’s Muhammad. A Prophet for Our Time is an example – but we might have expected something more critical than “believing everything in the sources except that which presupposes a suspension of the laws of nature”. Accepting sources in this way, without asking why they were written down in the first place, is called “naïve positivism”. Because rationalized legends became untenable, there have been new quests for the “historical Muhammad”. There is, for example, the Luxenberg thesis, which implies that the Quran is not written in Arabic, but in a mix of Syriac and Arabic. This is not as far-fetched as it seems, because Syria was certainly important in early Islam and the Quran is written in a “defective script” without vowels and with possible confusion of several consonants (e.g. b, t, and th). The Luxenberg thesis indeed helps to expel some minor problems, but also creates one big problem: we have to assume that the Quran was not recited for a sufficiently long time to forget its original language. This seems extremely implausible (more…). Yet, the Luxenberg thesis is not the worst new idea. There are also a couple of nonsensical theories. Although it is certain that Nestorian and Monophysite Christians left the Byzantine Empire and settled in the Syrian and Arabian Deserts, and although it is certain that many warriors in the early Islamic armies were Christians, it is ridiculous to assume that Islam was created when people no longer understood the Monophysite hymns and prayers. 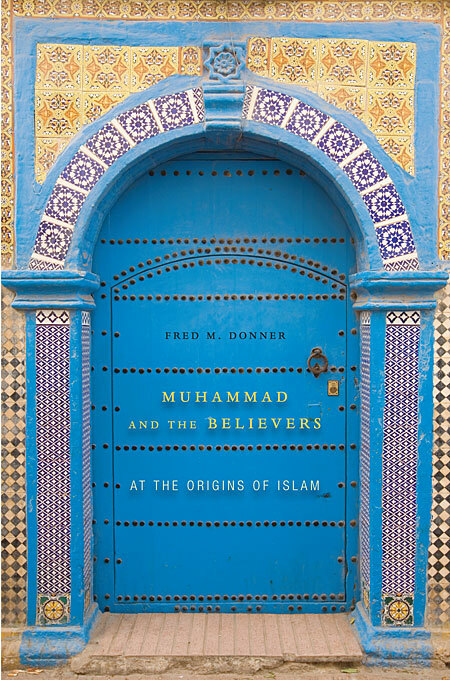 Granted, the name “Muhammad” means “the blessed one”, but it is unlikely that people, after singing a Syriac or Arabic version of “Blessed is He who comes in the name of the Lord” asked “who is that Mr Blessed?” and started to invent both the anecdotes about and the person of the Prophet. I was under the impression that the quest for the historical Muhammad was a cul-de-sac. But I was wrong, as I will show in my next posting.